The future of a local hostel is in doubt after six employees were slapped with indefinite sentences to remain in the notorious Prison X, following an audacious break out attempt this week. Staff at Cohort Hostel are believed to have been just minutes from achieving a sensational escape from the top-security Escape Time room, which maintains it has only ever lost one prisoner. ‘The screws won’t let me say too much but we started behind bars and managed to get ourselves into an open area.’ says one of the daring group being dubbed the ‘Cohort Six’. He then told us exclusively that a rumour is circulating about another escape plan being hatched. Prison X is a new addition to St Ives and we’re pretty excited about it. It’s a totally unique game (not ‘gaming’) experience and a fab activity for families with older children, groups of friends or even a team night out. The exact details of the challenges faced by the ‘Cohort Six’ are highly classified in order to maintain the security of future prisoners but it seems the chances of making it out are low. Escape Time insists that only one prisoner has ever managed to wriggle free from the facility but inside sources told us that up to 30% of convicts can no longer be accounted for. 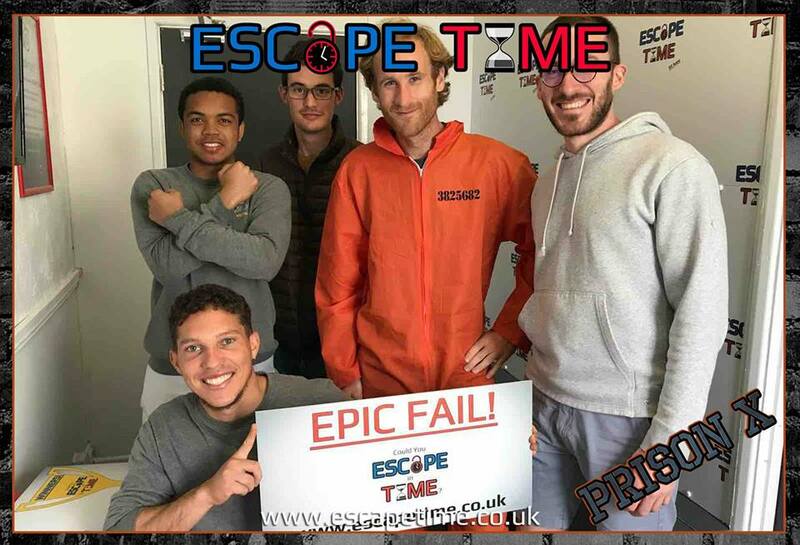 If you fancy landing yourself in the St Ives slammer this summer or trying out some of their other games (one involves a chocolate factory) visit the Escape Time website for more information. If you haven’t got a clue what we’re talking about but are intrigued anyway speak to one of the Cohort team to find out more… (but not much more, it’s all very confidential).